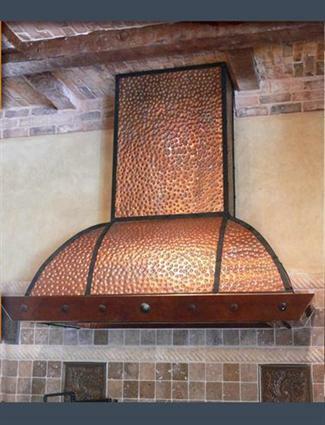 This beautiful vent hood features rustic details reminiscent of the French countryside. 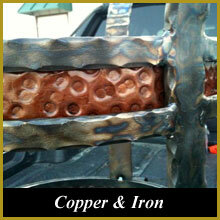 Copper straps accentuate its bell-shaped curves and the hammered finish creates dimension and texture. The bottom portion, in a darker finish, contrasts with the bright copper patina and features copper buttons as a final detail.